Continuing their global travels for a number of years after their bereavement, the brothers travelled with sketchbooks at the ready and they absorbed their travel experiences through visualising products that they as travellers needed but couldn’t find. 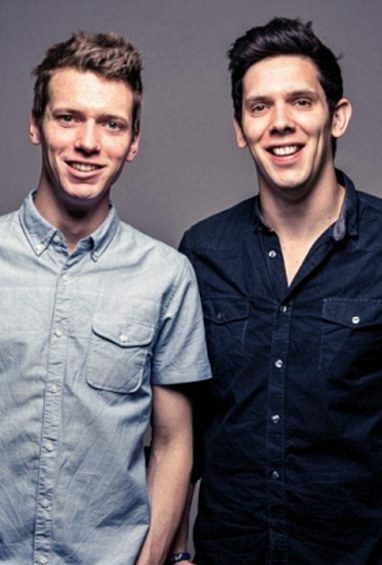 In 2012, the brothers created Gandys, “a brand on a mission, a mission to stop people passively letting life go by when they could be doing more.” The company was founded in order to support their Orphans for Orphans foundation by donating 10% of their profits to helping underprivileged children that were affected by the Tsunami. Rob and Paul’s initial target was to open their first children’s home by the end of 2014 to mark the 10 year anniversary of the tsunami, and they succeeded in this. The Orphans for Orphans facility in Sri Lanka encompasses a broad range of focus areas including academic support, woodwork lessons and various sports activities. This facility not only provides important facets of youth development in the community but ensures that children are safely occupied by after school lessons, and parents also have a chance to learn English and Maths. By 2015, the Gandy collection was a sellout hit in UK stores, including John Lewis, and in 2016 the brother opened their first dedicated store in the Spitalfields Market of London. Their continued success has allowed them to open a second children’s home in 2017, this time located in Malawi. 2017 also saw the further expansion of their fashion empire, with stores opening in Covent Garden, Camden, Clapham and Richmond, and the brothers continue to support and expand their charitable project. Their story was memorialised in the 2014 publication, “Tsunami Kids: Our Journey from Survival to Success”.